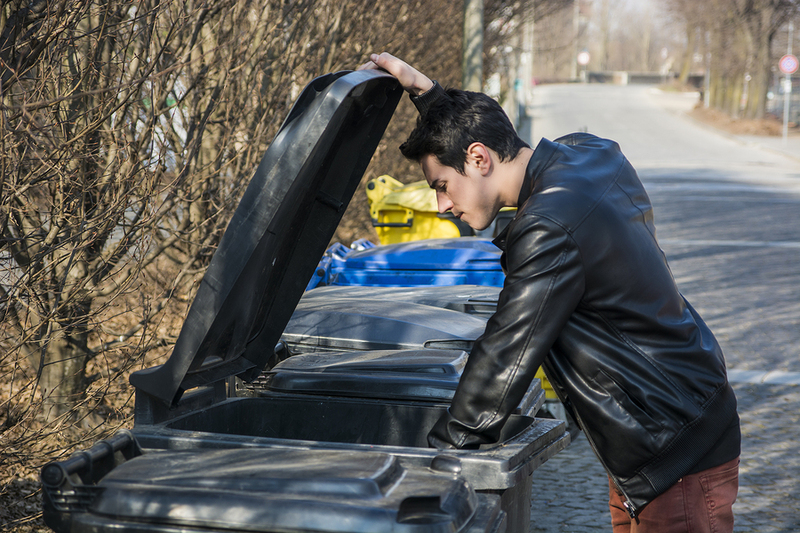 Dumpster diving seems like an old-school problem, but it’s something that is still used to get valuable information from a seemingly unsavory place. Essentially, it’s exactly what it sounds like- corporate spies or identity thieves looking for information that they can use or re-sell in trashcans and dumpsters outside of corporate offices or small businesses. On a more technologically savvy level, it’s a way hackers gather information to gain access to a computer system by sifting through discarded data. If your company doesn’t have a solid document management plan, there’s a good chance that you’ve accidentally discarded confidential information for your business, or even Personally Identifiable information. A data breach involving either of these types of information can be catastrophic- not only are there risks of competitors finding out proprietary information, there’s also a huge legal liability that can result in hundreds of thousands of dollars worth of fines. That’s why we recommend including a shredding management plan in your overarching document management plan to help minimize your exposure to dumpster diving, and the issues that are associated with it. There’s a lot of PII in everyday information that could be mistaken for as everyday documentation that can be thrown away with no consequence. But just one day’s worth of customer invoices contain enough Personal Protected information that could land a company in some hot water. Wait- Isn’t Dumpster Diving Illegal? This is where things get confusing- legally, once you have placed trash off private property you have given up reasonable expectation of privacy. Although certain states, counties, or cities might have mandates that provide more protection, this is the expectation of any dumpster diver looking for any information. On the flip side. using any of the PII that they found for criminal practices, whether its re-sold or used first hand, is illegal- so although you might be able to find it legally, you still have a chance of committing a crime if you do anything nefarious with it. It’s really as simple as it sounds- once a document is no longer useful or necessary, it’s shredded. That way, there’s no question about what type of document needs to be retained. It leaves little room for a data breach, and provides a simple solution to what can become a complex problem by eliminating a decision-making process on what to shred and what not to shred. Storing this information is one thing- you need to limit the access to PII to a select few on your staff, and can do that with locked filing cabinets, or a secure off-site storage facility. PII records, along with confidential business information must be properly destroyed. Here are a few options that might work well for your business. Off-site shredding, where a shredding company sends a truck to you, and then transport the files to a secure location and shred them there. Mobile shredders have industrial shredders mounted in trucks come to your office or facility and shred all the files, records and documents while you watch. This is extremely helpful If you are required to witness the shredding of your documents. Both options will ensure that you have a secure, reliable way to destroy your Personally Identifiable Information for your customers and your employees. If you need secure disposal of your PII Documents, Shred Nations Can Help! Shred Nations specializes in helping you find the shredding contractor that that’s right for your businesses regardless of the size of the job. If you’re looking for a quote on document shredding services, please fill out the form to the right, or give us a call at (800) 747-3365. Within minutes of receiving your request, you will receive quotes to help you select the contractor that fits your situation and your office best.